The users of the iPhone line of mobile devices from Apple have surely noticed that they have quite a lot of icons for various settings or functions displayed in the top part of their Status bar. Do you need a break from all the alerts and notifications your device keeps throwing at you? One of these icons is a moon symbol, which shows you that the Do Not Disturb (or just DND) mode is enabled. This icon is known for being very confusing and users have asked themselves things like “What does this moon mean?”, “How do I get rid of it?” or “Why do I even need it?” more than once. When a crescent moon appears next to a conversation, it means that you have silenced the notifications for that specific conversation by selecting the DND or Hide Alerts option. 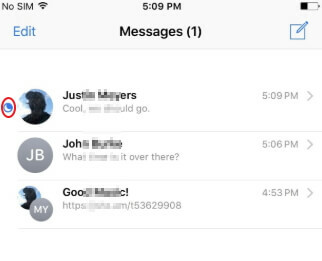 So you will not receive any alerts about new messages from that contact in particular, but you will still receive the texts (some think that their messages will be deleted, which is not in any way true). If you want to have DND enabled just for a certain conversation, it will not apply to your entire device, so all other messages and notifications will come in as they usually do and you will be able to see them on your Lock Screen. The moon symbol can have two colors (blue and grey), which have different meanings. A blue crescent moon means that you have a new, unread message waiting for you to open it. Upon opening the message and reading it, the moon will turn from blue into grey. That means someone has muted notifications from that particular conversation. There are people who do not find this iPhone function all that useful and there are even some who are not even aware of its existence, only enabling it by mistake. Option 1: Simply head to the Action Centre and tap on the icon displaying the crescent moon symbol. Tapping it will instantly turn off DND for the entire device. Option 2: The second one is to head into Settings and search for the Do Not Disturb section, where you can manually turn it on and off at your own convenience. Option 3: If you want to turn off the DND mode for a particular conversation, open the Messages app, open the conversation that displays the crescent moon on the left then tap the “(i)” button located at the top right corner of the conversation. This will take you to the Details screen, where you can toggle the “Hide Alerts” option off. 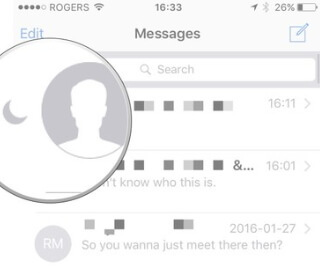 Have you lost text messages from your iPhone after an accidental deletion? Don’t worry! 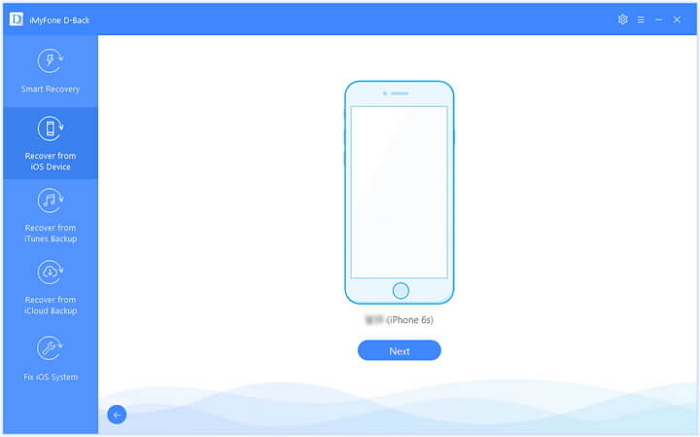 iMyFone D-Back has been created to recover your lost items from any iOS device or iTunes/iCloud backups. D-Back is a recovery tool for the data you have lost or deleted in different scenarios. There are different recovery modes tailored to different needs that you might have. You can download the trial version and see for yourself whether your data can be recovered. Step 1.After launching D-Back on your computer, tap on the “Recover from iOS Device” tab. Then click on “Start”. You must connect your device to computer and click on “Next” as soon as the program has detected successfully your iDevice. Step 2.You are able to choose the type(s) of files like text messages you would like to recover. Then click “Scan” and the program will start to look for the data that you have deleted. Step 3.When the scan finishes, all the recoverable data will be organized in a clear manner. 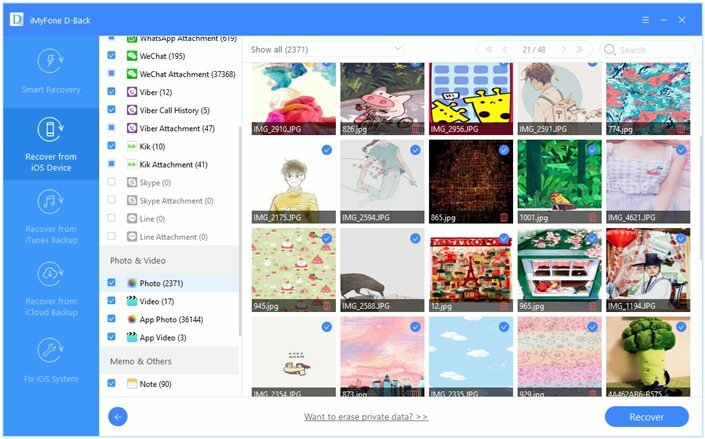 Now preview and select the files that you want to recover and click on “Recover”. It will only take a few minutes to finish the recovery. You should consider choosing iMyFone D-back which offer a higher chance of recovering your lost data in various scenarios. 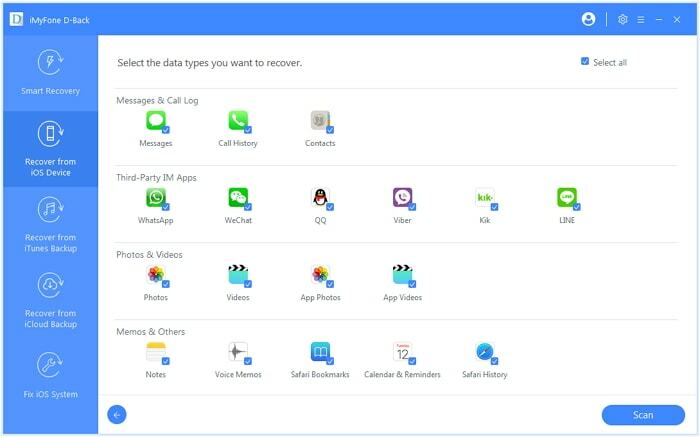 The software also supports different data types and offers such things as: a free trial before purchase, preview before recovery and a lot of other features. It is also trusted by more than 2 million people, so you can be sure of the fact that you are downloading a legit piece of software. So, that is all for the moon symbol and the Do Not Disturb mode. No matter if you want to silence your entire phone for a few hours, an entire day or you want to silence a conversation with a person that is annoying you, the choice is yours to make. 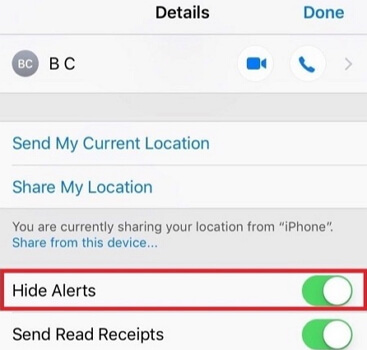 If you accidentally lose data from iPhone, you can check the above way to find them back. Feel free to leave your comments below.